On this day in hockey history… 1970 — Two expansion teams joined the NHL this year, and on this day the Buffalo Sabres played their first game in franchise history. The game ended in a 4-4 tie against the New York Rangers. 1971 — Guy Lafleur, after being drafted number one overall in the NHL Amateur Draft, plays his first game and tallies three assists in the Canadiens’ 7-4 victory over the Bruins. The Brampton Beast and the NHL’s Montreal Canadiens will continue to build upon their shared history of excellence into the upcoming season as the clubs are proud to announce they have renewed their affiliation agreement for another season, through the end of the 2017-18 campaign. For the last two seasons, the Beast and the Canadiens have had an agreement in place that has seen the NHL club send players and prospects to the Beast, and in turn, the Beast coaching staff would assist in the development and growth of these young players. Last season alone, the Beast benefited momentously from the addition of high-calibre talent and recorded the greatest season in franchise history. Brampton’s success can be attributed in large part to the impact from players designated to the Beast from the Canadiens and their AHL affiliate, the St. John’s IceCaps, including Yannick Veilleux, Zachary Fucale and Mathieu Gagnon. The National Hockey League Players’ Association (NHLPA) and the National Hockey League (NHL) unveiled hockey’s Declaration of Principles – developed by and for hockey stakeholders – to advance policies, programs and initiatives, while inspiring fans, players and communities to create the best possible experience for the entire hockey community. This joint statement advocates the game of hockey as a powerful platform for participants to build character, foster positive values and develop important life skills that transcend the game. The Montreal Canadiens rookie tournament got underway September 8th. The Canadiens prospects went head-to-head against those of the Maple Leafs and Senators. Montreal defeated the Leafs 5-2, but lost to the Senators 8-2. After the tournament was complete Canadiens training camp opened. It was revealed that Jeremiah Addison suffered a shoulder injury during the rookie tournament and will have to undergo surgery that will keep him out of action for a few months. As training camps have gotten underway, teams are evaluating their depth and will begin making roster cuts. 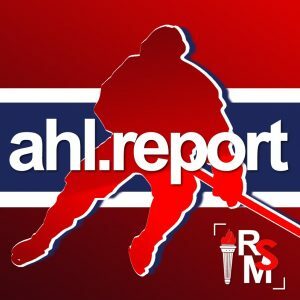 AHL rosters will quick begin to take shape. This past week saw some familiar names find new homes. San Jose Sharks announced that the club has signed forward Brandon Mashinter to a one-year contract. 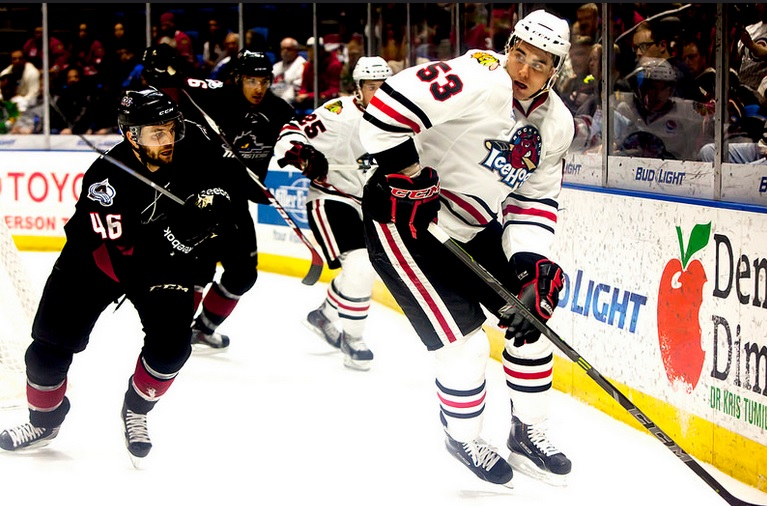 Mashinter, 28, tallied 15 goals and 15 assists for 30 points in 61 AHL games with the Rockford IceHogs last season, and was named the team’s most valuable player. Rochester Americans signed defenseman Nathan Paetsch to a one-year American Hockey League contract. Paetsch returns for his third stint with the Amerks in 2017-18 after spending the last five seasons with the Grand Rapids Griffins. During his time in Grand Rapids, Paetsch helped the Griffins to five straight playoff appearances and two Calder Cup championships, serving as captain during their 2017 title run. He notched one goal and 17 assists for 18 points in 73 regular-season games last season. Bridgeport Sound Tigers signed forwards Kellen Jones and Matt Lane and defensemen Mike Cornell and Patrick Cullity all to American Hockey League contracts. Jones, 27, scored a career-high six goals and tallied 15 points in 58 games with Bridgeport last season. Lane, 23, appeared in 15 AHL games with Rochester as a professional rookie in 2016-17, notching two assists — including one in his debut on Oct. 14 vs. Hershey. He added 11 goals and 13 assists in 45 games with Elmira (ECHL). Cornell, 29, spent last season in Germany, appearing in 49 games with Straubing. The native of Franklin, Mass., has appeared in 130 career AHL games with Bridgeport, Charlotte, Springfield and St. John’s, totaling 10 goals and 20 assists for 30 points. Cullity, 30, notched five assists in 36 games with the Sound Tigers last season, his seventh pro campaign. In 145 career AHL games with Bridgeport, Springfield, St. John’s, Abbotsford and Syracuse, Cullity has recorded one goal and 18 assists. Hartford Wolf Pack signed forward Scott Kosmachuk to an American Hockey League contract. The 23-year-old forward played 58 games with the AHL’s Manitoba Moose in 2016-17, registering 11 goals and 17 assists for 28 points. The San Jose Barracuda have signed goaltender Stephon Williams to a one-year American Hockey League contract. Williams, 24, appeared in 24 games for the AHL’s Bridgeport Sound Tigers last year, going 6-13-1 with a 3.08 goals-against average, an .891 save percentage and one shutout. He also appeared in eight games with Missouri (ECHL). The Rochester Americans announced today that the team has signed forward Garret Ross to a one-year American Hockey League contract. Ross spent last season with Tucson (AHL), collecting one goal and three assists in 27 games.